I grew up climbing mango trees. Yes I did. I was actually quite the tomboy when I was growing up amongst two brothers and no sisters. My parents actually had and still do have a mango tree in our backyard, and some of my most memorable memories of me growing up is actually climbing that mango tree and picking fresh ripe mangoes. I do remember once climbing up and not knowing how to climb back down and having to call my father to come and get me. Of course he didn't, he stayed at the bottom and coached me on how to get down and I did it all on my own. I actually felt a bit of pride writing that and remembering that day. Now I know how my 3yr old feels when she does things on her own and gives me her very special "high five". While my parents weren't farmers we always had fresh fruits and quite a few fruit trees planted where we got our fresh squeeze juices. 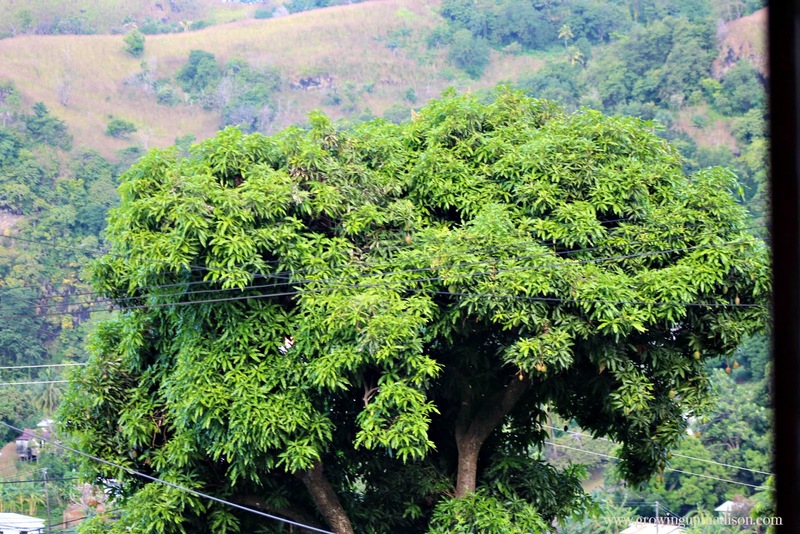 Fruit trees such as Promegrantes, Papaya, Mangoes, Oranges, Limes, Tangerines, Plums, you name it. My mother even had her herb garden and we would get fresh mint, parsley, thyme and the list goes on. Unlike my parents I have a brown thumb and everything I plant or tries to take care of dies. Yes I can kill a cactus believe it or not. Well today I want to share with you a delicious drink that sparks from my Caribbean roots. It's a Mango Mint Punch. I hope you enjoy it! Pour equal parts mango juice and ginger ale into a glass. 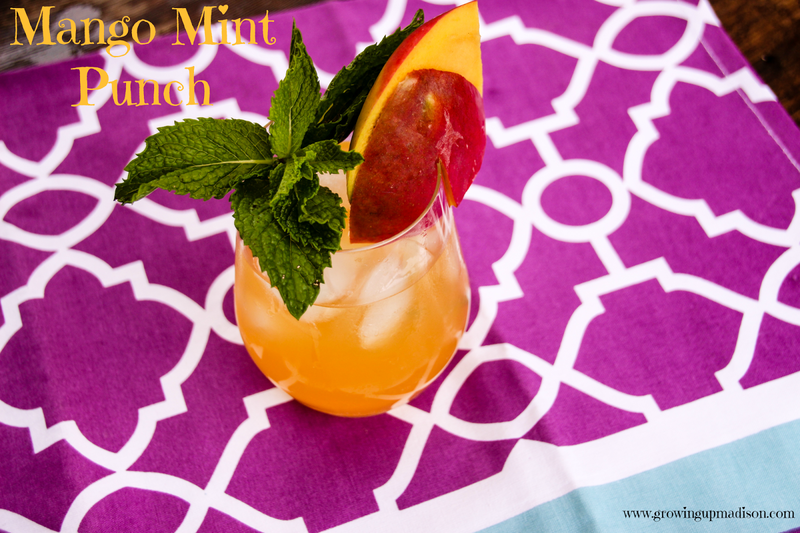 Garnish with sliced mango and fresh mint sprigs. 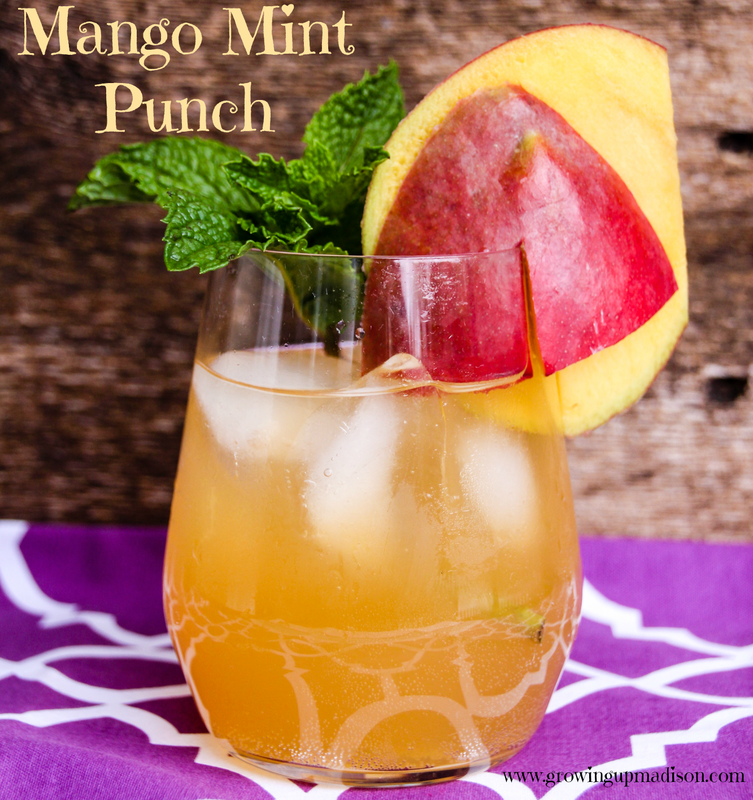 Serve and enjoy this refreshing drink on a warm or cool day. Let's discuss: What's your favorite childhood memory and which drink bring back those memories for you? I love mango... but mango mint?! What an interesting combination! Pinning to my Deliberate DRINKS board. What an interesting flavor combo. This is perfect for mango lovers. Oh my! That looks absolutely delicious! I also grew up on mangoes in Brazil! That's an awesome story. Mango trees! As for Mango Mint, I believe it because Cassidy likes this combo. Mango is my favorite fruit. I so need to make this, it sounds so good! Yum! We are fans of mango in our house! I've never tried it with mint. I'll have to try it. Ah that sounds way too good! I'm going to see if my daughter can pick up the ingredients so we can try it when I get back. My kids would love this drink! They love adding a fizz to juice! This is suchban easy recipe. I like when things are easy to make snd taste delicious. My mom would always make macaroni and tomato juice. It sounds gross, but it's oh so comforting. What a fun way to use mango. I bet I would love this one! I never really use mint. I should get some and try incorporating it more into my meals/drinks. This sounds so delicious! 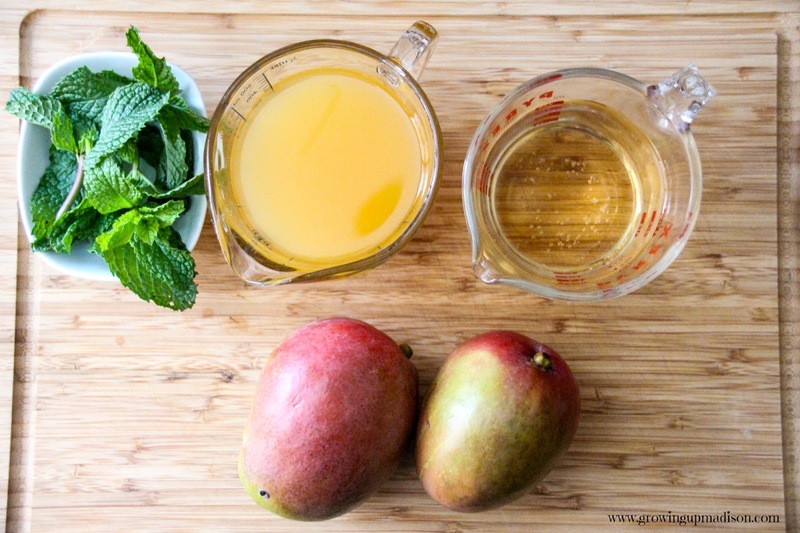 Mango is one of my favorite fruits, and mint adds such a nice boost to just about anything! That looks so good!! Going to try making it myself!